Leave with the ability to arrange simple flowers and enhance your environment without the years of training usually required by these intricate Japanese art forms. Bring your own small vase as well- and carry exquisite beauty home! 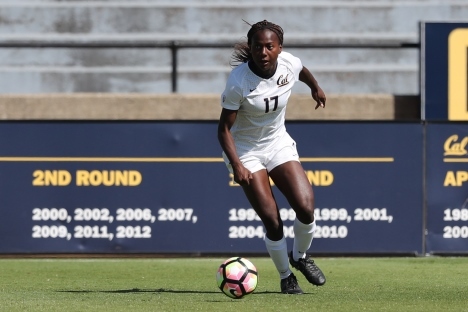 Cal Women's Soccer hosts Oklahoma State at Edwards Stadium. The 2017 Palantir Puzzlehunt, Puzzle, She Wrote, will be held at UC Berkeley. Sign-up below as space is limited. Recommended team size is 4-6 people, lunch and dinner will be provided. Are you a veteran salsa dancer? Have you never danced before in your life? No worries--all are welcome at the monthly salsa dance block party! Come dance like no one's watching in the streets of Berkeley. An annual memorial event to recognize the faculty/academics, staff, students, and emeriti faculty who passed this year. The ceremony includes brief remarks and a reading of those we are remembering, followed by music and spoken word. Dr. Michal Kosinski is a psychologist and data scientist. In his talk, he will discuss his research showing that digital records of behavior, such as samples of text, Tweets, Facebook Likes, or web-browsing logs, can be used to accurately measure a wide range of traits, including personality, intelligence, and political views. We will construct a one-parameter deformation of tensor product ( = twisted product) for non-commutative probability spaces, and show the existence of the associated universal calculation rule ( = twisted independence) for mixed moments of non-commutative random variables. The construction was inspired from the twisted canonical anti-commutation relations of W. Pusz. Let $X$ be the modular curve $X_0(N)$, where $N$ is a positive integer. The $cusps$ on $X$ are the points of $X$ at infinity.'' According to the theorem of ManinDrinfeld, the group of degree-0 cuspidal divisors on $X$ maps to a finite subgroup of the Jacobian of $X$. This group is the $cuspidal$ $subgroup$ $C$ of the Jacobian. The third lecture in the Slavic Graduate Colloquium Fall 2017 series. Seminar 271, Development: "Teacher Wages and the Recruitment of Talent in Rural Peru"
Designer, artist, and UC Davis assistant professor Thomas Maiorana will speak as part of Design Field Notes, a pop-up series that brings a design practitioner to a Jacobs Hall teaching studio to share ideas, projects, and practices. An evening with writer, poet, playwright, and columnist from Bangladesh, Anisul Hoque. Music composed by the American expatriate polymath Paul Bowles will be performed by Irene Herrmann, pianist and curator of the Bowles music estate, with soprano Sheila Willey. Songs feature texts by Bowless friends William Saroyan, Gertrude Stein, and Tennessee Williams. Owsley Browns documentary Night Waltz: The Music of Paul Bowles screens in the Barbro Osher Theater after the performance. The Expo will showcase campus, student, and local organizations, campaigns, projects, internships, and funding opportunities available for students with sustainability interests. Students interested in sustainability and looking for opportunities for involvement should attend! Seminar 237, Macroeconomics: ​"Labor Supply and Consumption Insurance: Evidence from Rideshare Drivers"
Knot theory can be generalized to spatial graphs: embeddings of framed topological graphs in $S^3$ up to isotopy. Certain categories support graphical notations for homomorphisms (for instance, elements of $S_n$ as $n$ immersed arcs in the plane), and by reinterpreting a projection of a spatial graph graphically, we may obtain an algebraic invariant. Hear from students & staff about the benefits of pursuing undergraduate research, and how to find available positions. Hear the freshmen & transfer admit perspective from panelists working in AI, CS education, wireless technologies, space science, solid state electronics, and device physics. Berkeley Research Computing is offering an introductory training session on using Savio, the campus Linux high-performance computing cluster. We'll give an overview of how the cluster is set up, different ways you can get access to the cluster, logging in, transferring files, accessing software on the system, and submitting and monitoring jobs. IDV Division hosts the annual IDV MPH Symposium for second year IDV MPH students to present their Field Study Projects in the poster session. Seminar 221, Industrial Organization: ​"Measuring Consumer Sensitivity to Audio Advertising: A Field Experiment on Pandora Internet Radio"
Join the Center for Middle Eastern Studies (CMES) for our fall Graduate Student Open House! RSVP info: RSVP online by September 18. López and Valdés will reflect on their experiences organizing exhibitions that focus on the visual art and performance of Costa Rica, Guatemala, and Nicaragua, and will discuss how their curatorial research puts pressure on monolithic narratives about Central American art. Workshop | September 19 | 5:30-7 p.m. | Stephens Hall, Rm 360; to get to rm. 360, enter Stephens Hall archway, go through door with sign for Haas Institute for Fair and Inclusive Society; go up one floor to suite 360. This workshop will introduce and expose students to various research programs and funding opportunities on campus. It will cover various program applications and writing a research proposal. Presenters will discuss their experiences with their research programs, as well as the application processes. A Southern Poverty Law Center (SPLC) expert on hate and extremism will share information on an orchestrated campaign by white nationalists to make college campuses their battleground. The battle is not over free speech or political conservatism. Come learn about what they're pushing, why theyre obsessed with UC Berkeley and how we can effectively resist. Come hear about Lyft's internship and full time positions! We will be having some Berkeley Alums talk about their experiences with growth hacking, software engineering, data science, and data analytics. There will be time at end for Q&A, resume collection & networking! Free Sliver/Soda and swag will be provided.